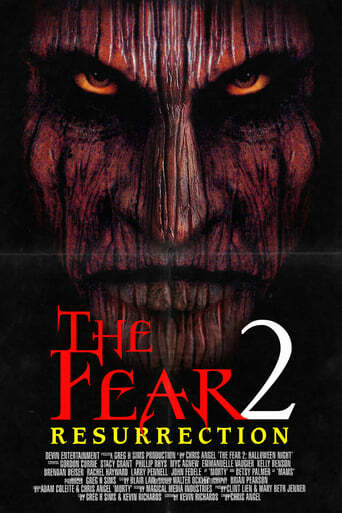 It's death-by-fear (aka scared-to-death) in this deceptively psychological thriller. The hero, Mike brings his friends to his grandparents' house for a Halloween party wherein they will all dress up as their innermost fears. Mike's fear is that he's inherited a homicidal legacy from his father. Mike's father was a serial killer who murdered his mother right in front of him when Mike was five before committing suicide. Mike's fear manifests itself in his inability to commit to his girlfriend of 4 1/2 years, Peg for fear that he will kill her too. Everything gets rolling when an ancient Indian totem wooden figure named Morty comes to life and starts killing off Mike's friends by making their worst fears come true. The ultimate confrontation comes when Mike has to face his greatest fear - his own father.